For instance, Antifa = Anti-Fact Fascists. Words and definitions matter. So now: Antifa. 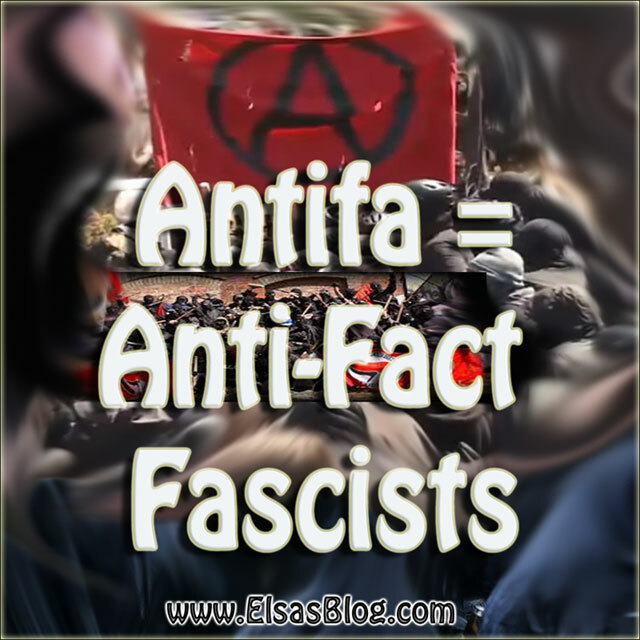 ANTIFA = ANTI-FACT FASCISTS. Why that definition? At their core, they refuse to acknowledge anything they disagree with. In other words, they are fundamentally anti-fact. As for defining them as fascist: core to fascism is the forcible suppression of dissent. THAT IS CERTAINLY CORE TO ANTIFA - see them any time they appear, violent against dissent. That means, of course, that they also suppress their own potential dissent, notably by shutting out information which could go against their non-factual beliefs.